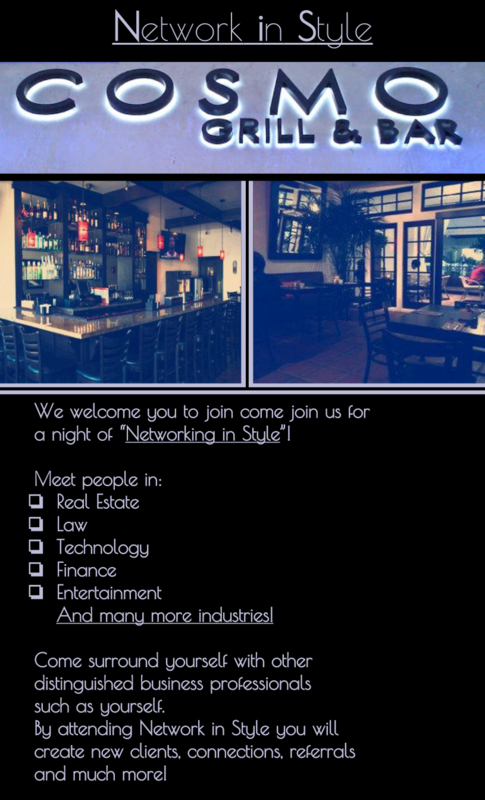 Network in Style is a company based around Networking in every aspect. 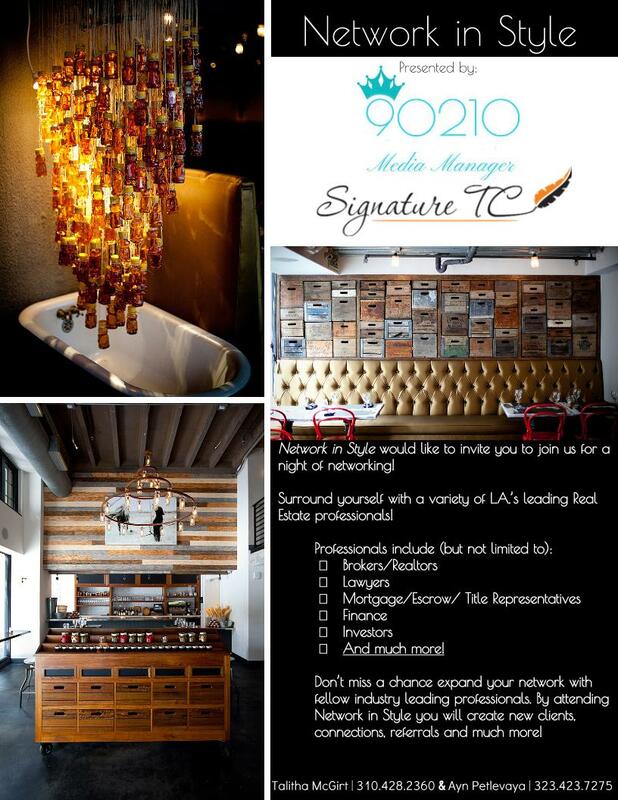 Network in Style was started in 2012 by Talitha McGirt. 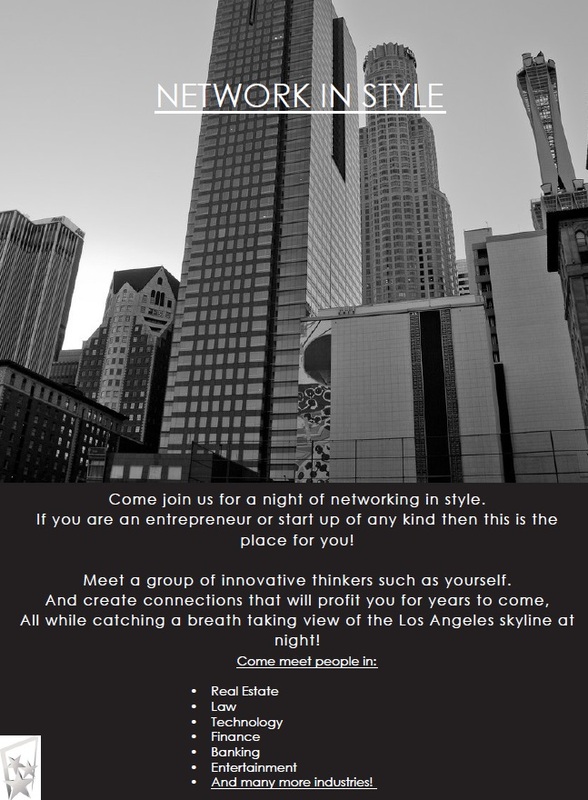 The purpose of Network in Style was to bring together like minded business professionals in the Los Angeles area. Over the course of time the our vision has expanded past being just an event. 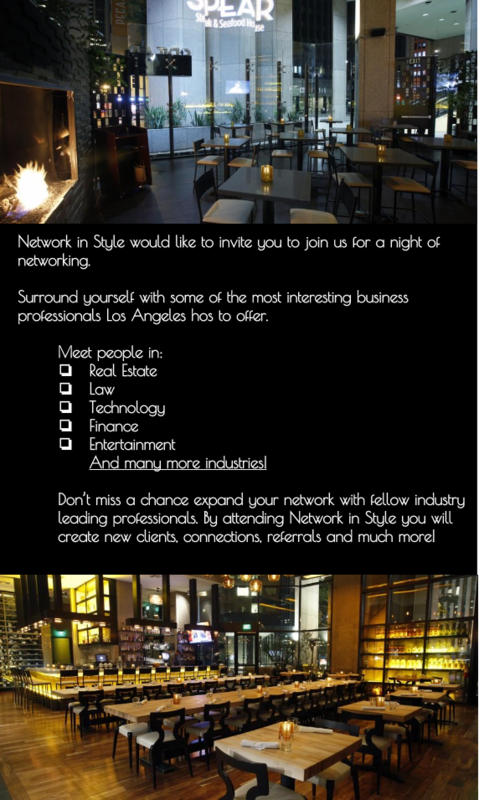 We strive become a source of knowledge for the networking community at large. 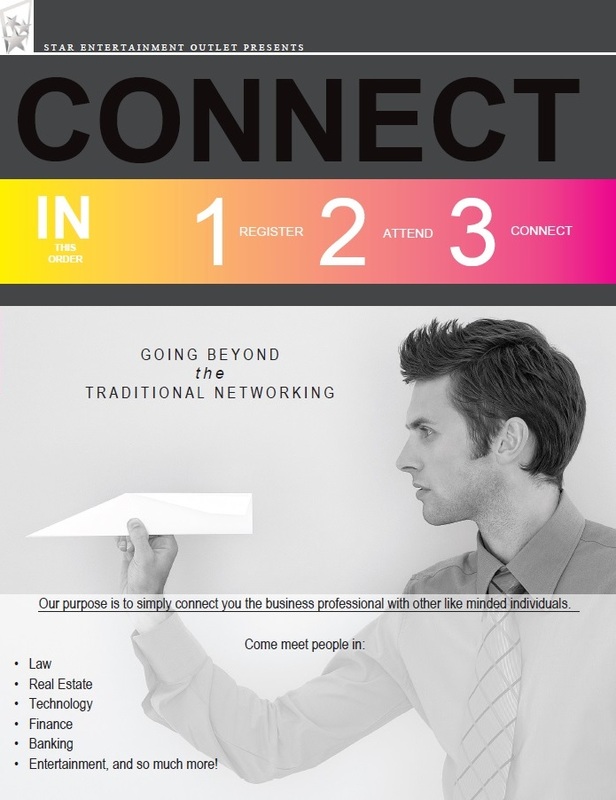 Networking is a key asset to a vast majority of business professionals! 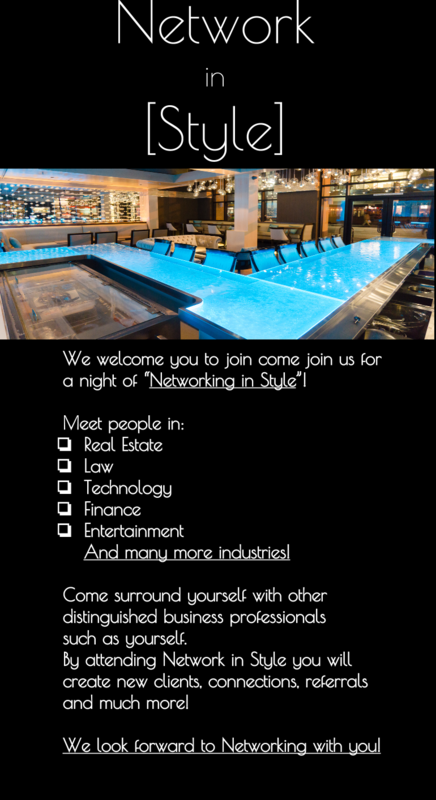 Bringing together networking professionals, organizers, and venues to give a detailed personalized spotlight to the events offering everyday professionals an opportunity to mix and mingle with; new clients, business partners, investors, and much more. 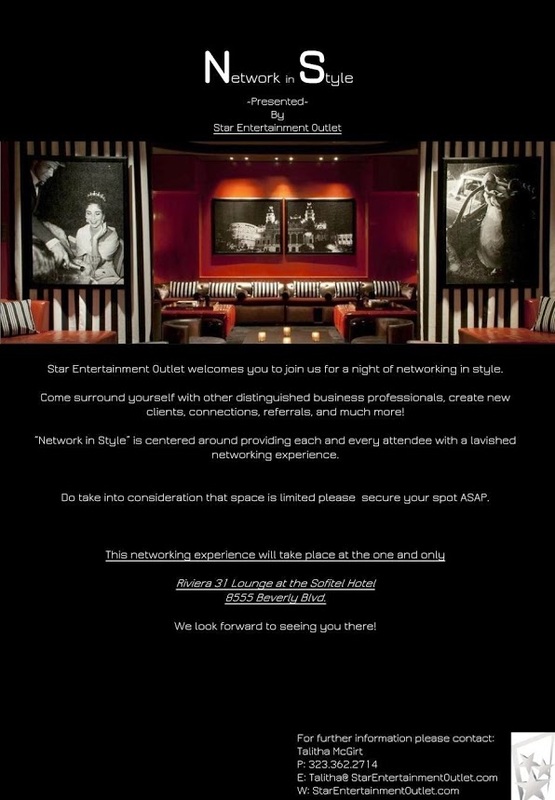 Or message us by filling out our form.